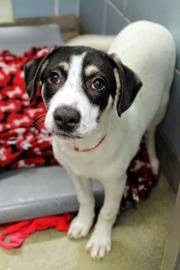 Meet Darla, a 5-month-old hound mix! Darla is a darling active and playful young pup. She will need lots of supervision, patience, and love in her new home due to her adolescent age. We recommend obedience training, house training, and socialization to help her become a well-mannered adult dog. Come introduce yourself to this cutie-pie today and see if she is your match!